In a new study, Harvard University researchers find over 90 percent of potential new Canadian hydroelectric projects are likely to increase concentrations of the neurotoxin methylmercury in food webs near indigenous communities. The research forecasts potential human health impacts of hydroelectric projects and identifies areas where mitigation efforts, such as removing the top layer of soil before flooding, would be most helpful. The works uses factors such as soil carbon and reservoir design to forecast methylmercury increases for 22 hydroelectric reservoirs under consideration or construction in Canada. The research is published in Environmental Science & Technology. Microbes convert naturally occurring mercury in soils into potent methylmercury when land is flooded, such as when dams are built for hydroelectric projects. The methylmercury moves into the water and animals, magnifying as it moves up the food chain. This makes the toxin especially dangerous for indigenous communities living near hydroelectric projects because they tend to have diets rich in local fish, birds and marine mammals such as seals. 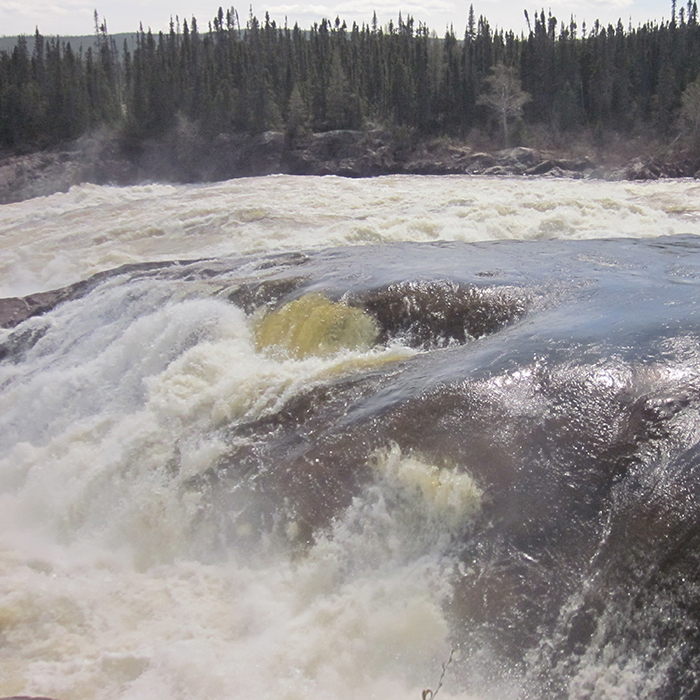 To understand how methylmercury impacts human populations, the Harvard team studied three Inuit communities downstream from the proposed Muskrat Falls hydroelectric facility in Labrador. The project will require the flooding of land bordering the Churchill River, upstream from an estuarine fjord called Lake Melville. Sunderland and her team have been working in this region since 2012, conducting a multi-pronged investigation into how methylmercury accumulates in the ecosystem and how it may impact communities who rely on the ecosystem for food and resources. To build the framework, the team collected extensive measurements of how different forms of mercury cycle through this ecosystem and formalized a mathematical model to forecast post-flooding methylmercury levels in the Churchill River and downstream estuary. They then used measurements of levels of methylmercury in the food web and unique chemical tracers for where each food item, such as salmon or trout, obtained its methylmercury to project levels of the toxin in different species of fish and wildlife. Finally, the team studied the diets and baseline methylmercury exposures of more than 1000 Inuit who live on Lake Melville’s shore to understand how changes in their food would affect individual exposures. “After collecting all of this information, we can rapidly see how all these people’s exposures will change with the increased methylmercury levels in local wildlife and who will be most affected in this population,” said Ryan Calder, first author of the paper and graduate student in the Sunderland Lab. The people at the highest risk of mercury exposure are those who eat locally caught wildlife nearly every day, especially river fish, where the increase of methylmercury is expected to be highest. Pregnant women and children are especially at risk for health impacts of methylmercury. The team applied the prospective framework to the 22 other proposed hydroelectric sites in Canada, plugging in publically available, site-specific data. They found that 11 sites had equal or greater methylmercury concentrations relative to Muskrat Falls. The paper was coauthored by Amina Schartup, Miling Li, Amelia Valberg, and Prentiss H. Balcom. The research was supported by the U.S. National Science Foundation, Canada’s Northern Contaminants Program, ArcticNet Inc., Tides Canada’s Oak Arctic Marine Fund Program, the Nunatsiavut Government and the Natural Sciences and Engineering Research Council of Canada. This research builds upon another recent study from the Sunderland lab that developed a new tool to understand the methylmercury sources of fish. The team found that stable isotopes of mercury, carbon, and nitrogen could trace and characterize where in the environment different species of fish in the Lake Melville food web were exposed to methylmercury. The team found, for example, that adult Atlantic salmon receive most of their methylmercury from the ocean, despite spending similar or longer time in freshwater regions as juveniles. Another migratory species — Rainbow smelt — demonstrate a shift in the mercury isotopic signature when they transition between the freshwater and marine environment as their dominant foraging territory. Understanding where species of fish take up methylmercury is important for calculating how methylmercury increases due to hydroelectric flooding will impact the health of humans who rely on local fish for food. The tool is applicable in other ecosystems as well, said Miling Li, a postdocteral fellow in the Sunderland lab and first author of the paper. The research was also published in Environmental Science and & Technology.